A proud team reflect on their hard work as our images feature in press and POS literature nationwide. Red and Gray are delighted to see the fruits of all their efforts appearing in high street stores now. 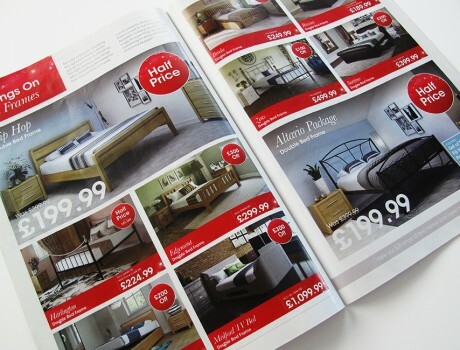 As Bensons for Beds release new advertising literature featuring the 3D images prepared by the studio. In store POS stands, hoardings and now recent sale leaflets all feature the 3D product images that the studio worked hard on for 3 months at the end of last year and the beginning of this year.